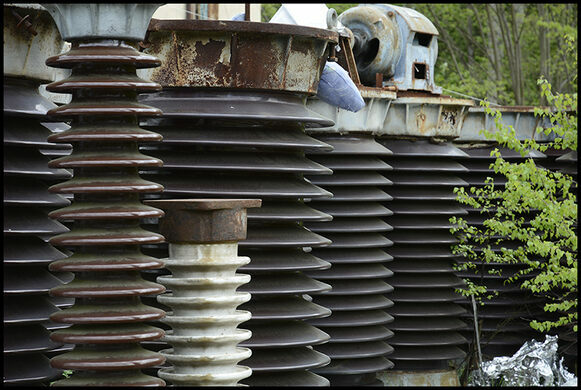 A dormant lightning machine equal to all the power in Russia. 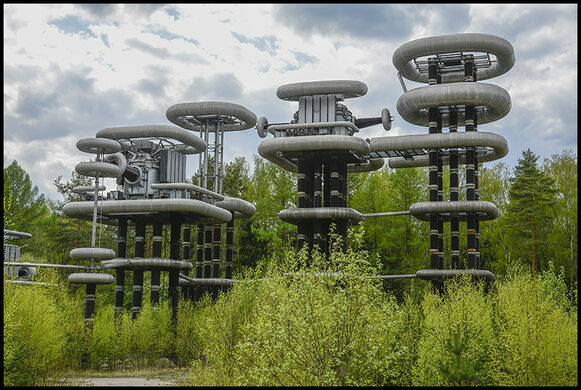 Towering up above a forest near Moscow is the strange configuration of tubes that were once used as a shockingly powerful lightning machine. 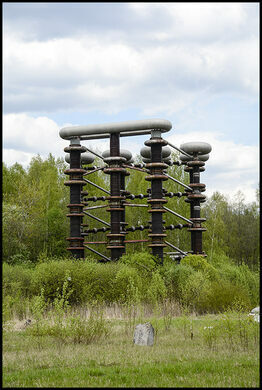 The Marx generator — often mistaken in appearance for a Tesla coil — was constructed in the 1970s by the Russian Electrical Engineering Institute. The aim was to have a machine to test lightning insulation. When at peak power, the Marx generator could discharge for 100 microseconds onto a platform at the same level as all generating facilities in the country. 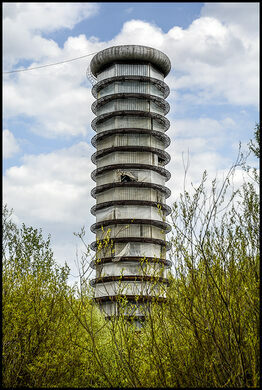 Now the Soviet-era tower is mostly abandoned, although reportedly still rarely turned on, including in August of 2014. But the risk of a sudden electrical storm hasn’t stopped many would-be explorers from venturing near its incredible towers. The area is fenced off and guarded with dogs. The fence has holes in many places but going in that way would mean crossing through a dense forest and there is no way to do that unnoticed. Thankfully though, most of this structure is viewable over the fence. An early-20th-century "dacha" village of quaint cottages curiously located in a modern part of Moscow. The California secessionist movement has its own foreign embassy, in Russia of all places. The composer did some of his finest work in this country home, including "The Nutcracker." It took over half a century but a Russian monument to a famous and tragic space pup finally stands in Moscow. The decaying remains of a once-luxurious Soviet spa town. Dubbed "Wistom" by locals, this abandoned factory is an urban explorer's dream. This village was once a thriving Soviet uranium mining center, but is now semi-abandoned and desolate. Traces of the thriving lake trade that once linked the Soviet Union with Mongolia.